Virginia is for lovers—lovers of wine, gourmet food, novel attractions, and is one of the most affordable wine regions to tour. The Monticello AVA has been producing high-quality wines for centuries, but doesn’t have the fame—or the crowds—of more famous winegrowing areas throughout the country. 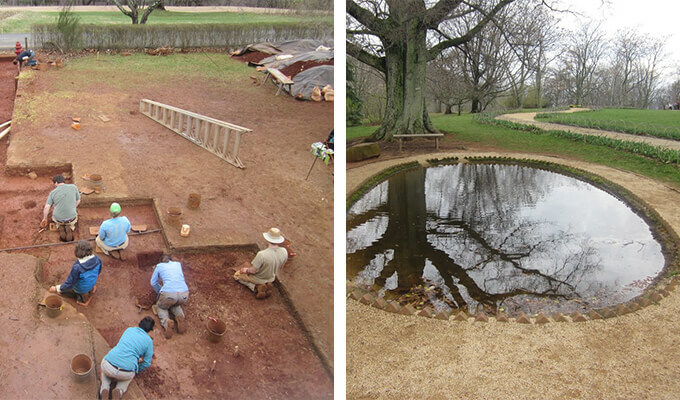 Find out for yourself why several of the Founding Fathers chose to reside in the Commonwealth of Virginia. 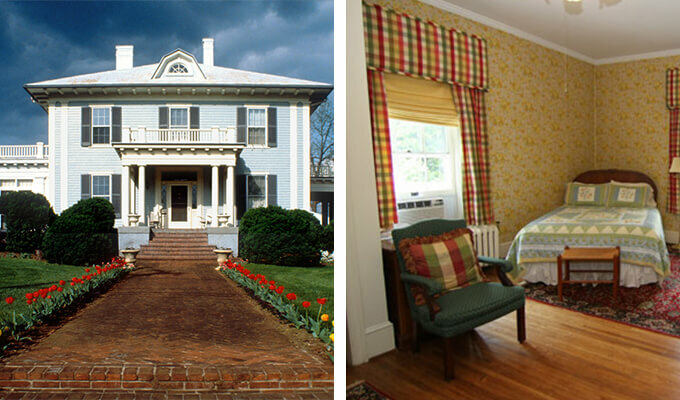 With an exterior straight out of the 18th Century, Fountain Hall Bed & Breakfast succeeds at making guests feel like early American authors. Beds are stately and large, but the bathrooms are sleekly modern, containing 21st century comforts, and the grounds are straight out of Colonial times with manicured lawns and eye-popping gardens. Insider tip: Ask for some banana bread during breakfast: the scrumptious treat is made from a century-old recipe and still receives rave reviews. 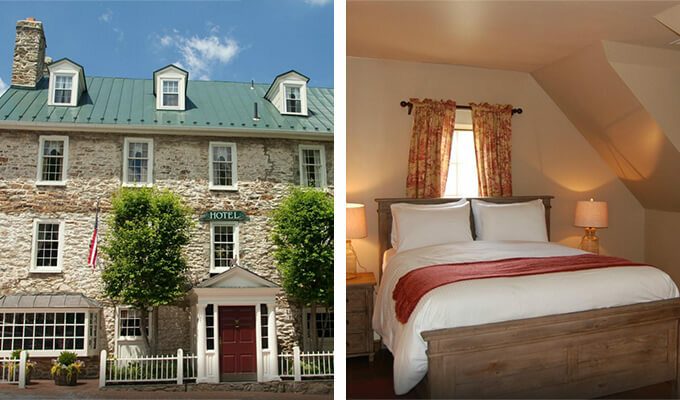 Step off the beaten path and right into an authentic Colonial room at The Red Fox Inn and Tavern, famous for its food, but also for its charming accommodations. The complex was built in 1728, but the rooms are decidedly contemporary, quiet, and relaxed, featuring an abundance of windows, making each one very bright and inviting. Insider tip: Traveling with a group? Book one of the many spacious suites and revel in the old-style comfort together. 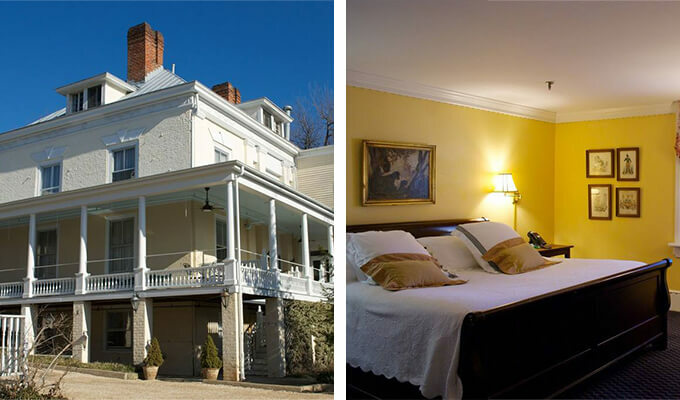 With warm fireplaces in most rooms, wine and cheese served at night, and country-style breakfasts cooked up in the morning, 200 South Street Inn adds a dash of Old Virginia charm to any trip through the Charlottesville area. With large windows and colorful décor, each room provides style and value, and the stately buildings on the grounds are striking in the snow, summer sun, or changing leaves. Insider tip: If you are a light sleeper, let the staff know when booking: a few rooms face train tracks and might cause some disturbances. Insider tip: Be prepared to wait if you come during a busy time, as the restaurant doesn’t offer reservations because of its small size. The flap steak or the chicken and dumplings are worth it. 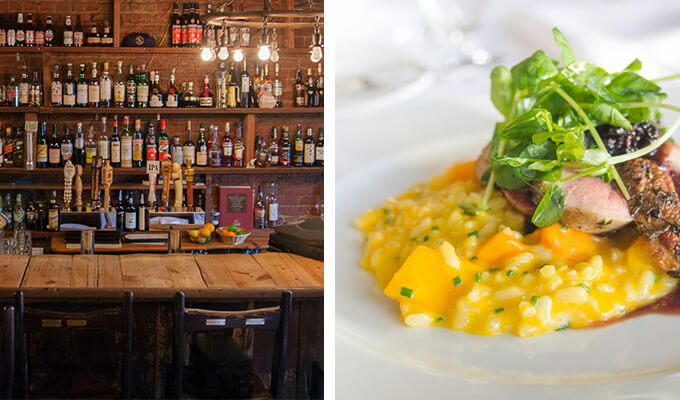 Fine French cuisine blended with Southern comfort food may seem an odd pairing, but you’ll be convinced of their compatibility after tasting C&O Restaurant’s duck breast or mascarpone cheesecake. 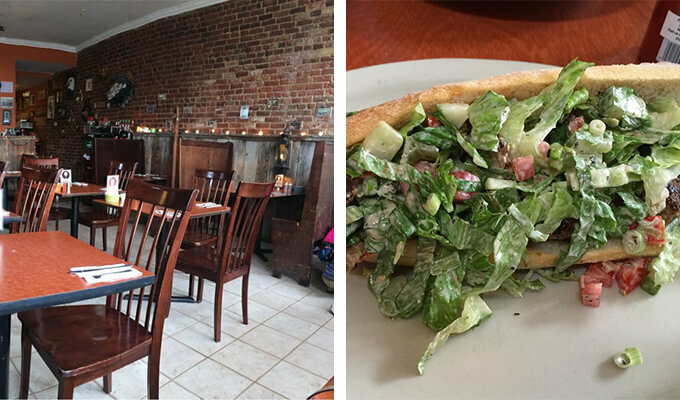 The weathered brick exterior belies the flavors bursting from the kitchen, but it also keeps the less-informed tourists from overwhelming this Charlottesville favorite. The rooms provide different ambiances, and include, white linen luxury, bistro casualness, or the relaxation of a sunny summertime terrace. Insider tip: A simplified late-night menu is served until 1:30 a.m. and features small plates like pulled pork tacos, macaroni and cheese, and crème brulee. 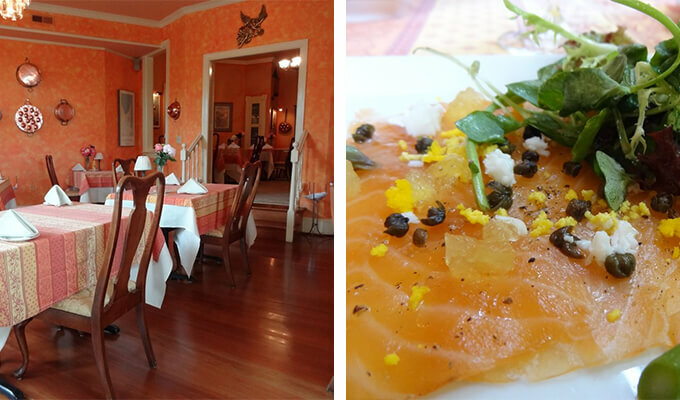 Situated up a lonely highway in the middle of the Virginia countryside, the decadent French meals served at L’Auberge Provencale will surprise with the rustic French flavors of the rural Provencale region, while still remaining undeniably refined. The chefs wow guests every night with elegant yet cozy food like duck galantine, lamb sweetbreads, and ratatouille. Insider tip: If you feel like splurging, L’Auberge Provencale has several types of caviar available: the special ingredient that imbues romance into any evening. Part winery, part cattle ranch, and part rustic meeting spot, Adventure Farm has been in operation for six decades, and it still might be one of the only places that grows both award-winning grapes and gourmet, grass-fed cuts of beef. Those with a fondness for animals can get up-close with goats and pigs, while those less-inclined can enjoy the well-lit and classy tasting room. Insider tip: Pick up some grass-feed beef from their carefully selected Angus-Salare steers, grown right on the farm. 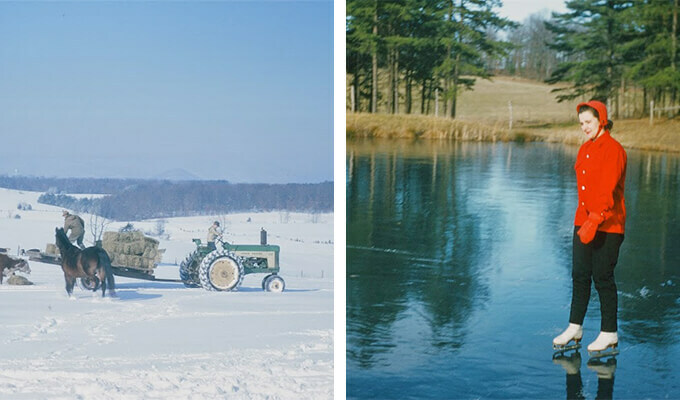 This 100-acre property includes a winery, farm, and the rolling foothills of the Blue Ridge mountains. Although rooms are available at an on-site bed & breakfast, a tour of the farm and wine tasting can be scheduled anytime with a phone call. The homemade jams and jellies available are a hit at local farmer’s markets. 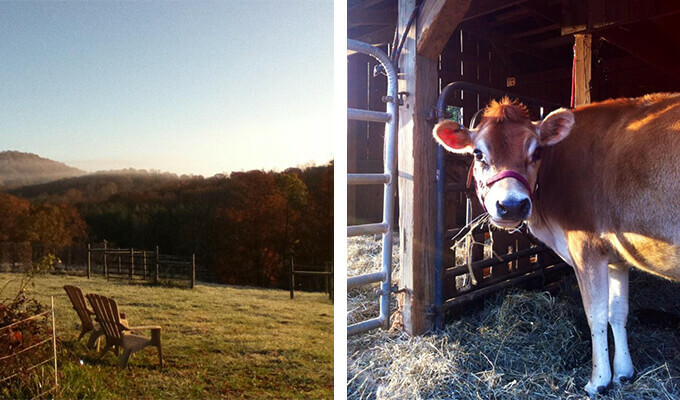 Insider tip: Say hello to Ben the dog as you admire the chicken coops that produce 30 dozen eggs a week! Monticello, Thomas Jefferson’s sprawling plantation estate, may seem like just another Colonial-era tourist trap for armchair historians, but the gorgeous still-in-operation gardens and picturesque buildings make this a must-stop location for any lover of antiques, design, or amazing vistas. Even if you don’t tour the house, there is almost always something in bloom in the gardens. Insider tip: Schedule a history tour of University of Virginia, the public college Jefferson founded, to get a full lesson on the life of the third U.S. President. 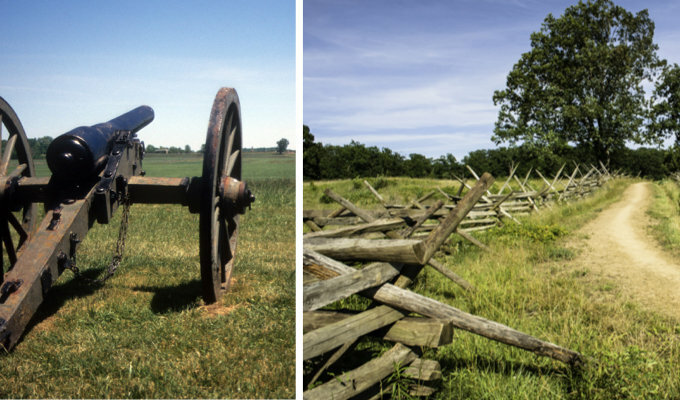 Though Lynchburg, Virginia is very quiet today, it was once the scene of a crucial battle during the Civil War. Several sites are open to visitors, including a few former hospitals, forts, and cemeteries, and driving tours are available for sights of the public buildings in the town; check in at the Lynchburg Visitors Center for more information. Insider tip: Pack sunscreen and a hat if you’re exploring on foot during the summer—there’s little shade.